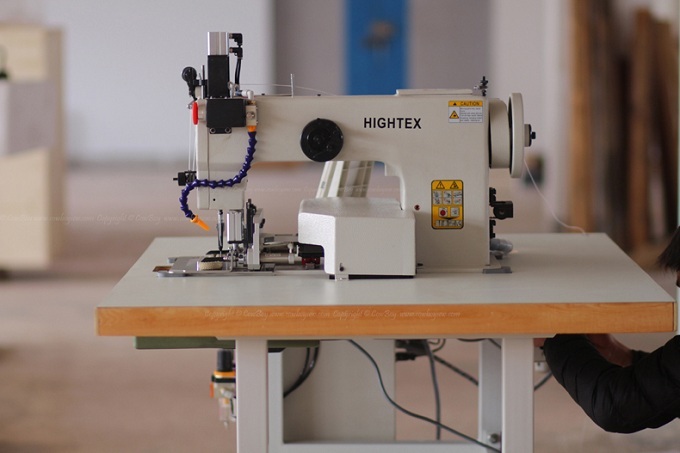 This rope sewing machine purchased by a designer and manufacturer of premium quality health and safety equipment in Wanganui, New Zealand. And a manufacturer of safety equipment, climbing and rigging gear in Auckland, New Zealand. 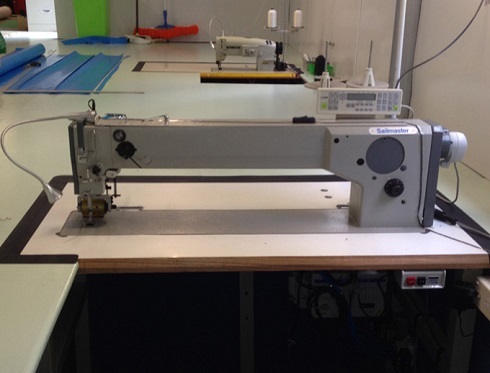 This sail sewing machine ordered by Doyle Sailsmaker in Avondale-New Zealand, and Specialtysail loft in Auckland - New Zealand. 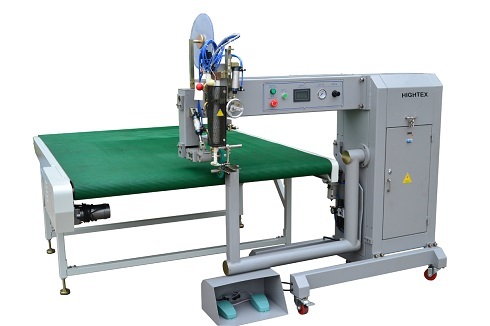 This heavy duty programmable webbing sewing machine adopts extra large rotary hook and bobbin capacity (6 times bigger than normal) reduces the number of bobbin changes even for thick thread Metric #10, V277, T-270, 840dx3. 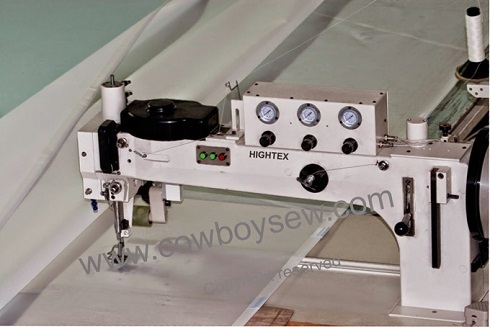 Can easily sew 2-3 ply high-density synthetic slings (with each 3.5mm) together, in the production of cargo lashing straps, lifting slings, parachutes harness, backpack straps, military gear, harness and fall protection equipment. 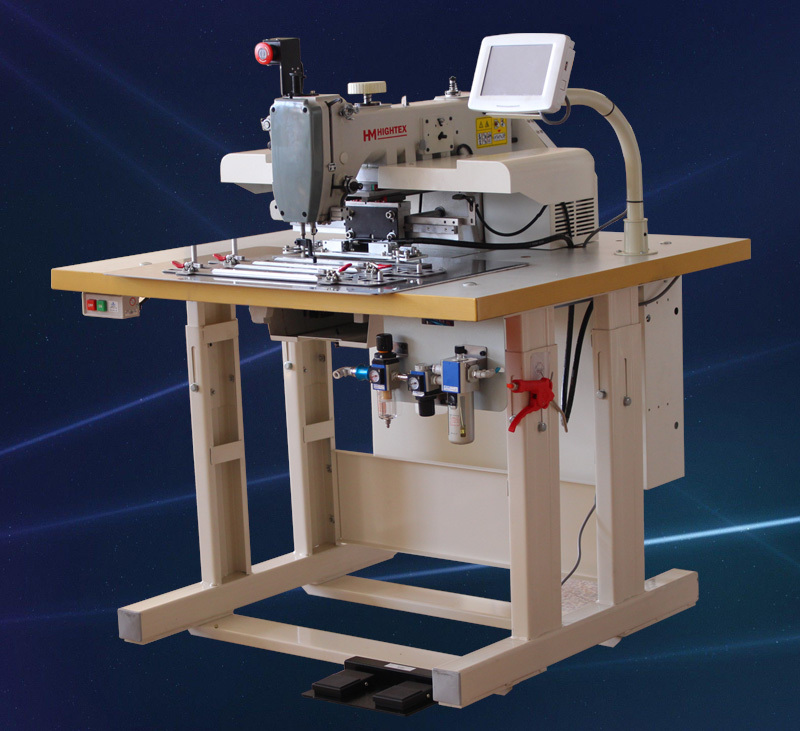 This automatic webbing harness sewing machine purchased by a large manufacturer of premium quality health and safety equipment in Wanganui, New Zealand. 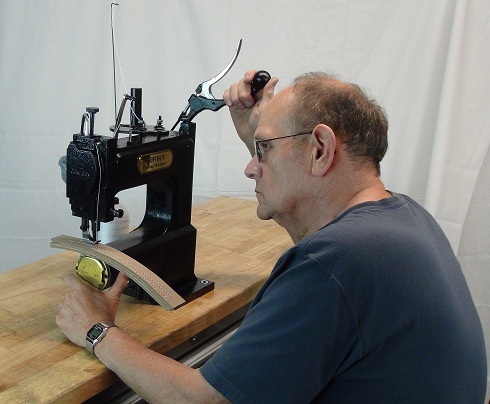 This spinnakers sewing machine purchased byDoyle Sailsmaker inAvondale-New Zealand,Specialtysail maker in Auckland - New Zealand, a industrial sewing machine dealer in Auckland - New Zealand, and a sail loft in Taranaki, New Zealand for makingwindsurfer, kite surfing and sailing dinghy sails. 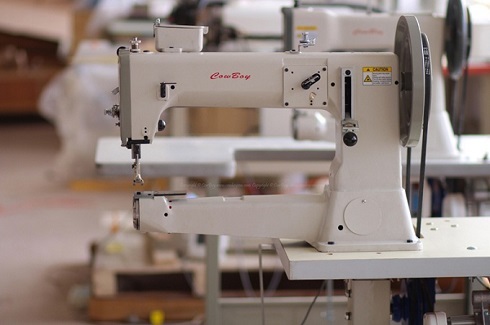 This saddlery sewing machine purchased by a saddlery shops in Wellington, New Zealand. This hot air inflatable welding machine purchased by a inflatable boats manufactured inAuckland - New Zealand.